Laura Stack, MBA, CSP, has consulted with Fortune 500 companies for nearly 20 years in the field of personal productivity. She helps leaders create high-performance cultures in their teams and organizations and achieve Maximum Results in Minimum Time®. 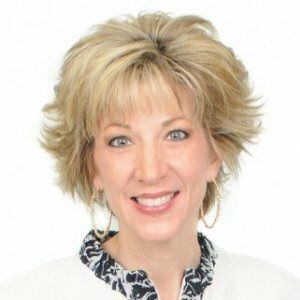 She is the president of The Productivity Pro®, Inc., a time management training firm specializing in productivity improvement in high-stress organizations. 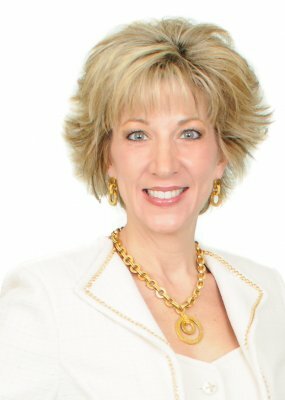 Since 1992, Laura has presented keynotes and seminars on improving output, lowering stress, and saving time in today’s workplaces. She is one of a handful of professional speakers whose business focuses solely on time management and productivity topics. Laura is a high-energy, high-content speaker, who educates, entertains, and motivates professionals to improve workplace productivity. 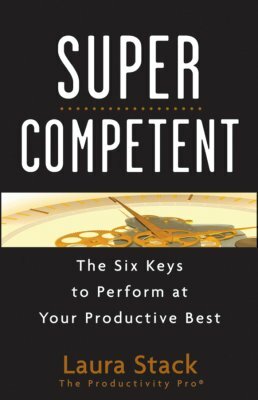 Laura is the bestselling author of four books, including SuperCompetent: The Six Keys to Perform at Your Productive Best; The Exhaustion Cure, Find More Time, and the bestselling Leave the Office Earlier, which was hailed as “the best of the bunch” by the New York Times. Her books have been published in seven countries and translated into five foreign languages. She is also a contributor to two of the popular Chicken Soup for the Soul books. Laura’s popular monthly electronic newsletter has subscribers in 38 countries. She is a Microsoft Certified Application Specialist in Outlook. 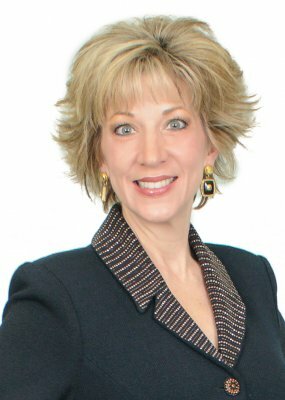 Widely regarded as one of the leading experts in the field of employee productivity and workplace issues, she has been featured nationally on the CBS Early Show, CNN, NPR, Bloomberg, NBC TV, the New York Times, USA Today, the Wall Street Journal, the WashingtonPost.com, the Chicago Tribune, O Magazine, Entrepreneur, Readers Digest, and Forbes magazine. 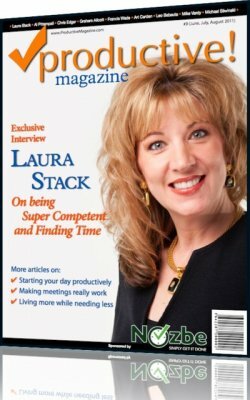 Laura has been a spokesperson for Microsoft, 3M, Skillsoft, Office Depot, and Xerox, and she is the creator of The Productivity Pro® planner by Day-Timer. Her client list includes top Fortune 500 companies, such as Starbucks, Wal-Mart, IBM, GM, MillerCoors, Lockheed Martin, and Time Warner, plus a multitude of associations and governmental agencies. Speakers must be members of NSA or another GSF organization for at least three years and complete a rigorous application process to earn the CSP designation. Laura's book, Leave the Office Earlier, was named as one of the Best Business Books of 2004 by Library Journal. Library Journal is the most trusted and respected publication for the library community. Built on more than a century of quality journalism and reviews, LJ provides groundbreaking features and analytical news reports covering technology, management, policy and other professional concerns to public, academic and institutional libraries. I am writing to thank you for the great learning experience you provided to me and over 320 leaders in my region. You have been the buzz since our meeting. Over 80% of our TMs rated you and the topic a 5, and the average score was a 4.7! Laura- You truly are incredible! You are the perfect speaker for any audience and the perfect person to partner with! You "get it", so much more than an amazing presentation. You customized to our audience, used their buzz words and incorporated whatever I asked into the presentation. You have a great brand. Received terrific feedback from anyone I spoke to today. Thank you so much! 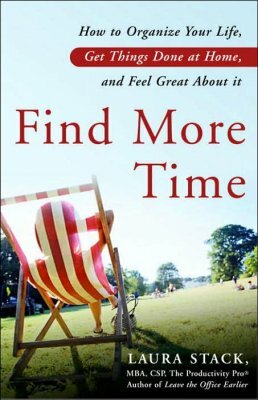 Laura’s flagship TIME MANAGEMENT keynote on how to be more productive at work. build consistent routines • eliminate time wasters • and improve your efficiency. hours you work each week without compromising output or sacrificing results. Laura’s PERSONAL ENERGY keynote on how to be productive when you can’t pick yourself up off the couch. Laura shows you how things such as • tolerations • relaxation • pacing • lighting • noise • and clutter can impact your energy.Perfect for the pooped. You’ll learn to fight energy bandits with energy boosters and will soon be bopping around with increased vim and vigor. 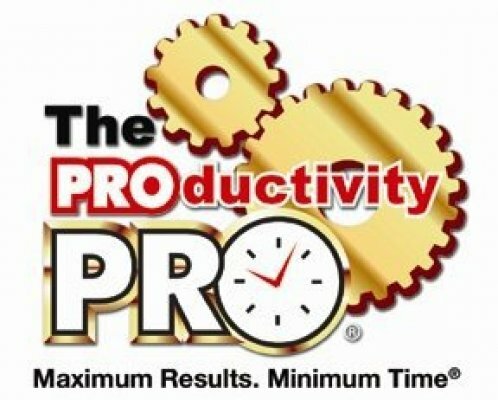 YOU Can Be a Productivity Pro®! This is Laura’s flagship keynote that combines key concepts from her multiple books and years of experience into a comprehensive 45 to 75-minute presentation. Time management, prioritization, scheduling, concentration, organization, email, workflow, processing, and systems are all covered to help your attendees achieve Maximum Results in Minimum Time®. Your participants will gain scores of new ideas on increasing output without increasing effort and performing at their matchless best! 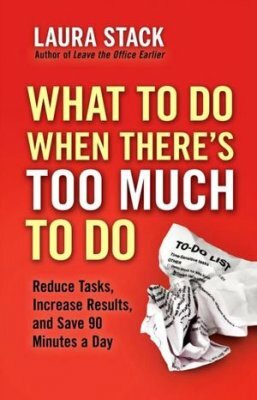 to improve your productivity and get more done than ever before. Laura’s LEADERSHIP DEVELOPMENT keynote on how to reach peak performance and achieve breakthrough results. Laura teaches high potentials six proven keys to unlocking their full potential: Activity • Availability • Attention • Accessibility • Accountability • and Attitude. Laura Stack gives you a clear and practical system for achieving Maximum Results in Minimum Time.